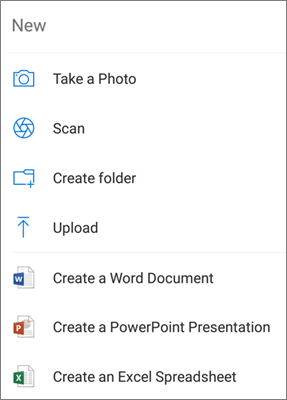 Use the OneDrive app to upload photos and videos from your device (including automatically), create new folders, and move photos and videos from one OneDrive folder to another. 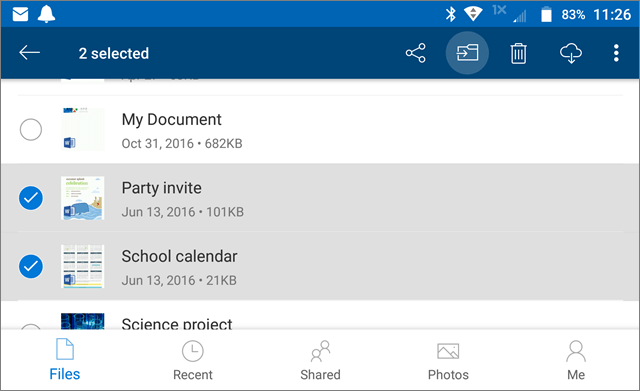 Note: This article applies to OneDrive on devices running Android 5.0 (Ice Cream Sandwich), or newer versions. Camera backup is available only on devices running Android 5.0 (Ice Cream Sandwich) or later. In the OneDrive app, tap the check box of one or more files you want to move, then tap Move. At Select a destination folder, tap the folder you want the files moved to, then tap Move here. Tip: To create a new folder for these moved files, tap Add and then Create Folder.